The Tourism Ministry wants to attract at least 200,000 Chinese tourists who seek to celebrate Chinese New Year, locally known as Imlek, and Cap Go Meh (the 15th day of the first month of the lunar calendar) in Indonesia throughout February. Bali, Manado in North Sulawesi, Batam and Bintan in Riau Islands and Jakarta are said to be among the most popular destinations for the foreign visitors. "Almost all countries are after the Chinese market, not only for the tourism sector, but also other sectors. Hence, we aim to attract up to 3.5 million Chinese tourists this year," said Vinsensius Jemadu, a ministry official involved in marketing to China, in a statement on Wednesday as quoted by KompasTravel. 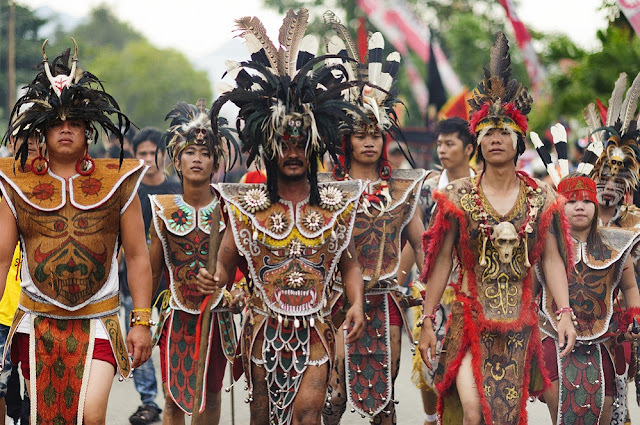 Vinsensius said that promotional efforts had been undertaken since early January to lure tourists to destinations that highlighted Imlek and Cap Go Meh celebrations. "We have sold Imlek packages in regions that are popular among Chinese tourists. In February, Bali is expected to attract 50,000 to 75,000 foreign tourists. Meanwhile, Batam, Bintan, Manado and Jakarta aim to lure at least 20,000, 35,000, 10,000 and 15,000 foreign visitors, respectively. Hence, a minimum of 200,000 Chinese tourists are expected to come to Indonesia throughout the month," said Vinsensius. China continues to be a potential market for Indonesian tourism. In 2015, 1,141,350 Chinese visited the archipelago. Three years later, the number increased to 1,976,728 people, the most foreign tourist arrivals from any single country.